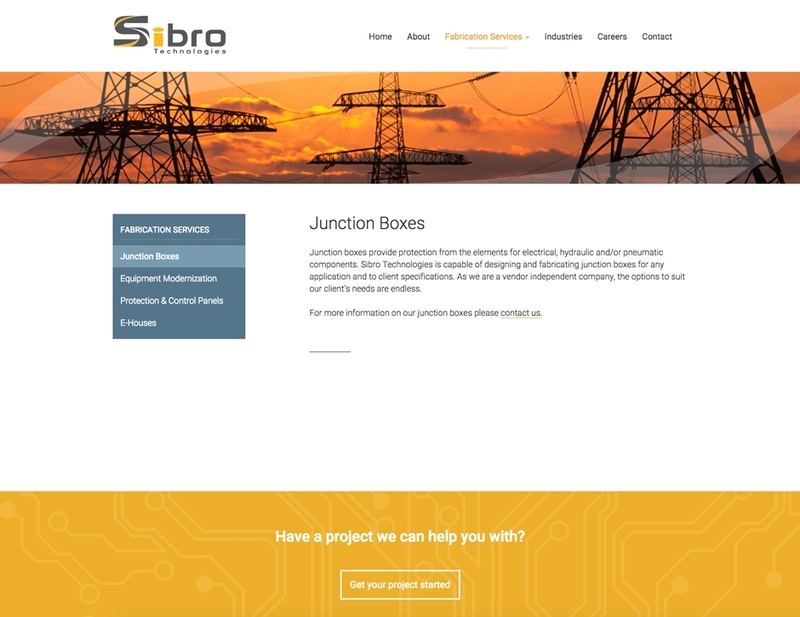 Sibro Technologies is a comprehensive fabrication shop specializing in the manufacturing of custom junction boxes, protection and control panels, e-houses and equipment modernization. 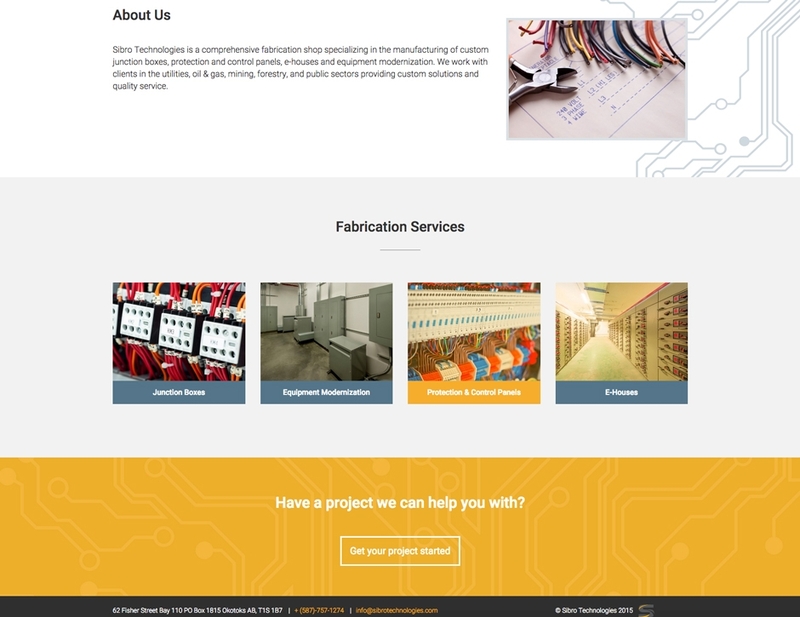 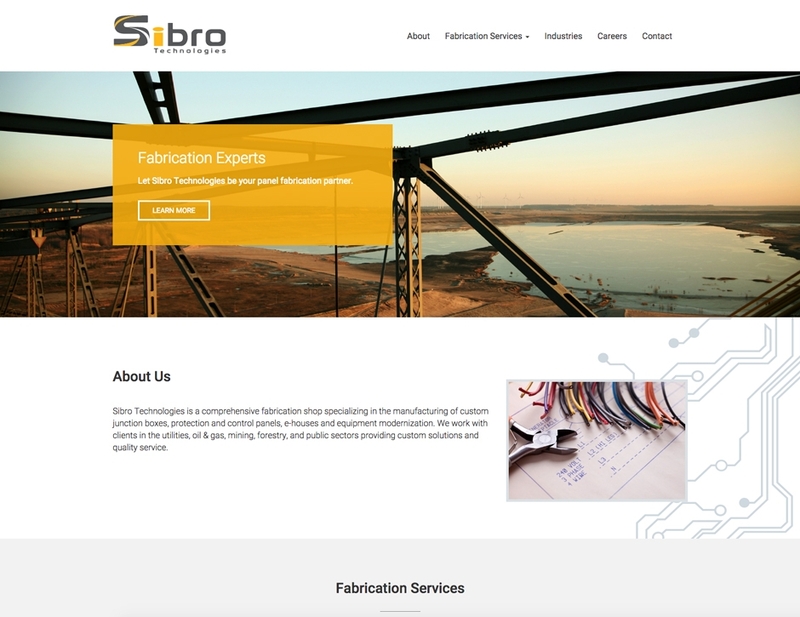 Project Summary: We designed a simple and sweet brochure website for Sibro Technologies, which showcases their fabrication services and provides contact & career information. 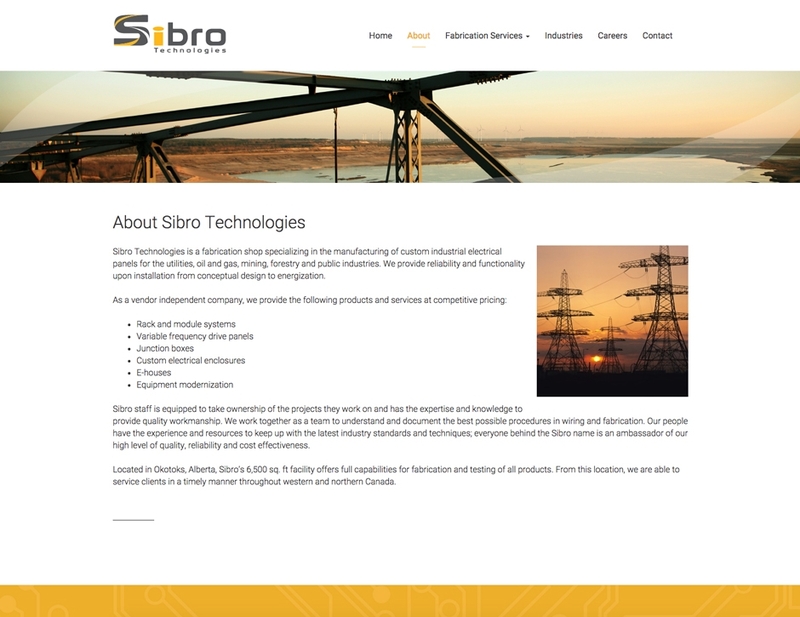 We built Sibro a custom responsive WordPress theme so the client can easily update the content and images throughout the site at any time and visitors will have a seamless browsing experience across all devices.